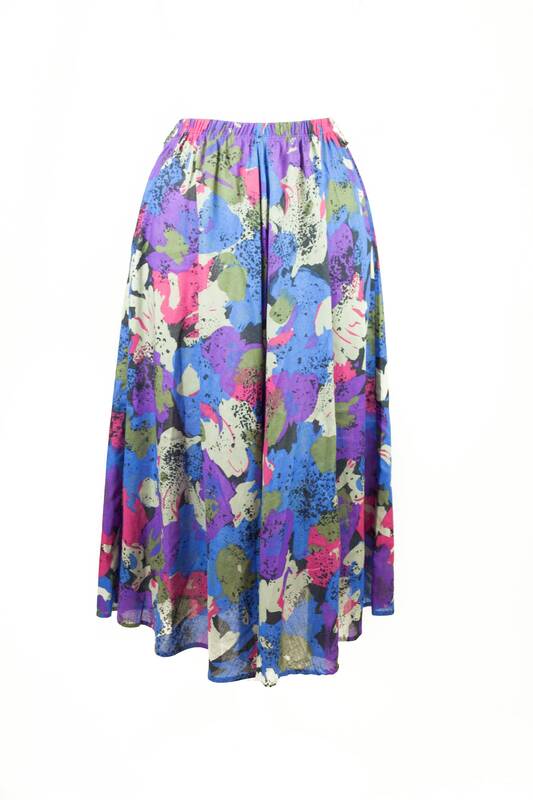 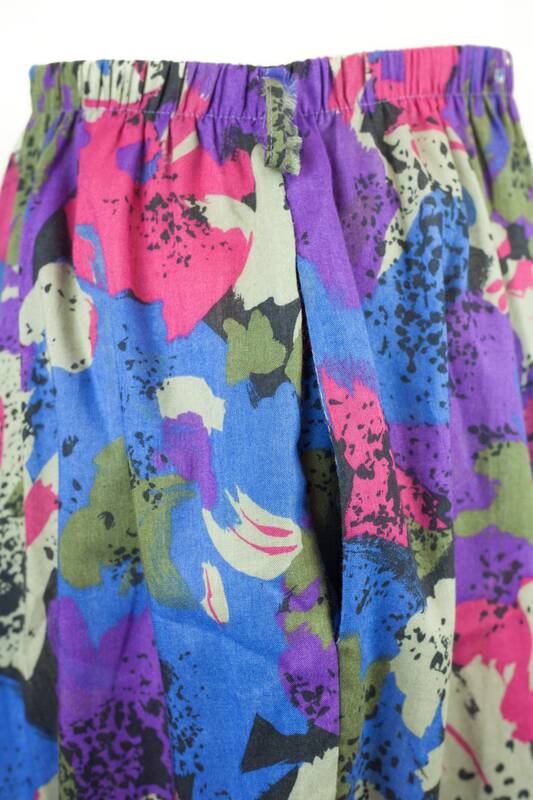 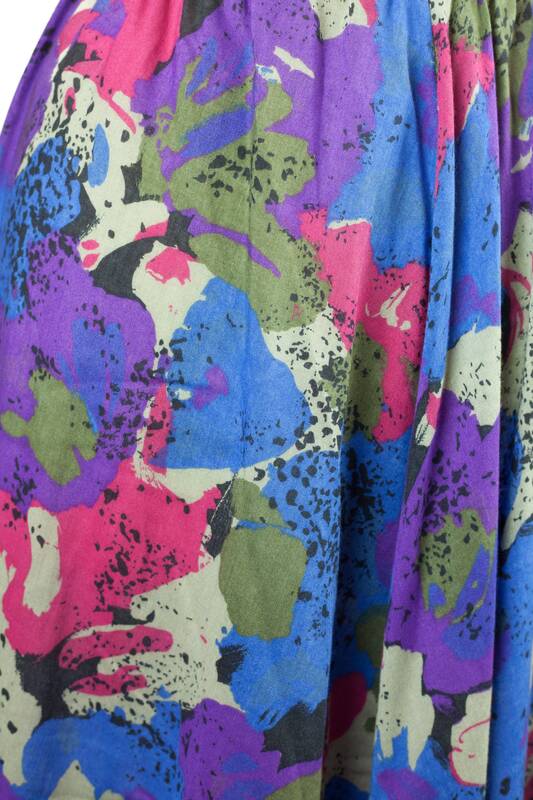 90s A-line abstract multicolor print mid-length skirt with pockets and elastic waist by Binder Sportswear. 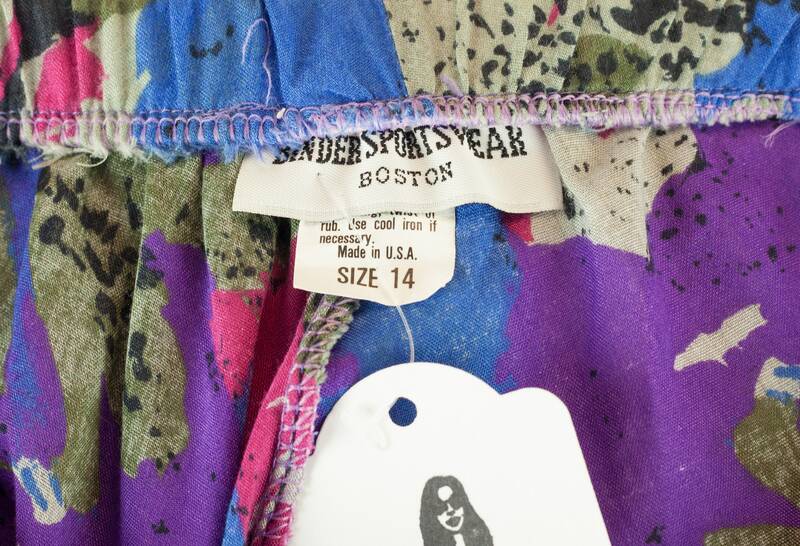 Item is in great vintage condition. 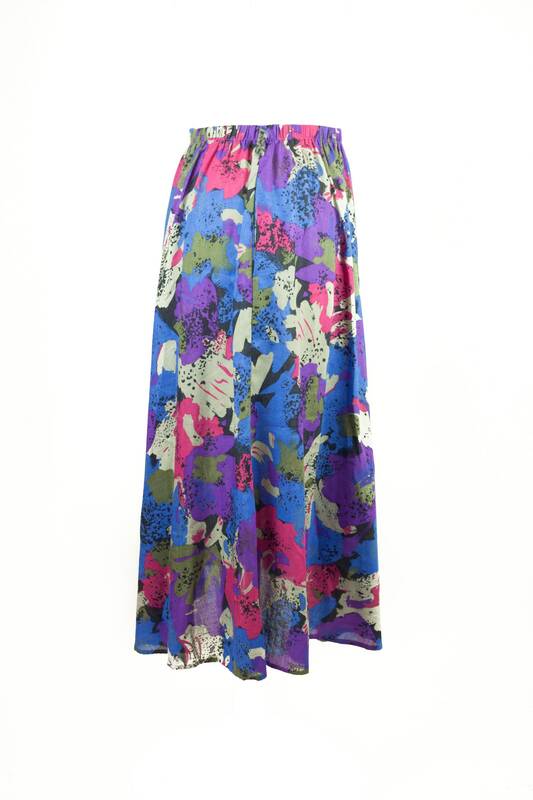 Style with a bodysuit, bright solid color tank or boho blouse and wedges or sandals for a retro vibe.